Public investment in higher education is vital to the performance of our economy. First and foremost, America’s public colleges and universities offer citizens a steadfast path toward personal economic growth and opportunity. An educated workforce also delivers a substantial return on public investment in the form of economic expansion through sustained employment, higher earnings, new and continued business development, and ultimately, higher tax revenues. In 1947, the Truman Commission on Higher Education recognized this vital role and prompted the federal government to begin making investments in public colleges to make postsecondary education more accessible and affordable to all students. Throughout the 1950s, 1960s, and 1970s, a number of the commission’s recommendations were adopted; the additional investment paid off, resulting in significant increases in the share of high school graduates going to college. Since the early 1950s, the federal and state governments have shared the cost of providing postsecondary education to citizens, but states have traditionally been a greater source of direct funding for public colleges and universities. Public colleges and universities rely on state investment as a source of both operating and non-operating costs. The subsidy provided by state investment has been critical to keeping costs low and providing an affordable education for all students. But after making great strides for decades, the country has begun to lose ground. College costs have skyrocketed. Between 2008 and 2012, the share of students borrowing to finance their education increased from 35 percent to 40 percent, and the average amount borrowed annually increased from $6,200 to $7,800. Since the Great Recession, states have withdrawn public investment in higher education, and many students from low- and middle-income families have been pushed out of public colleges and universities. Over the past decade, this has resulted in a decline in the college-attendance rate among low-income students and a dramatic slowing of the rate among middle-income students. 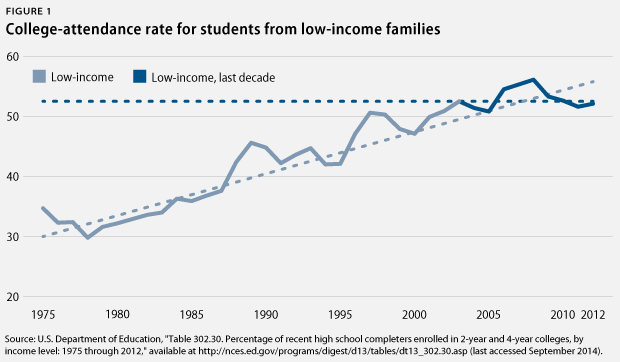 As noted in a recent Center for American Progress report, titled “The Middle-Class Squeeze: A Picture of Stagnant Incomes, Rising Costs, and What We Can Do to Strengthen America’s Middle Class,” the share of a family’s income needed to meet postsecondary education expenses has increased dramatically in just three years. Higher tuition and fees charged by colleges and universities account for much of this increase but, significantly, so does the fact that median family income fell by 3 percent during the same period. Not surprisingly, the burden of tuition payments often translates to the burden of debt. This student debt has disproportionately affected communities of color. Together, these factors have led to decreased access to college, higher cost, and higher debt. 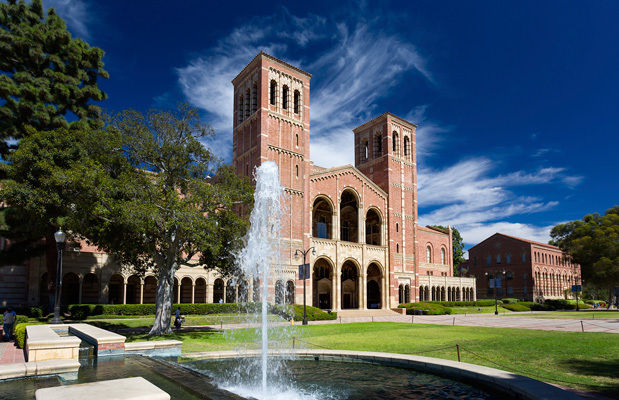 In recent years, the federal government has made significant investments in higher education to make the cost of college more affordable, in part to respond to the declining state investment and crisis brought on by the Great Recession. These investments include $17 billion in the Pell Grant program to help make college more affordable and increase the number of students eligible; a refundable tax credit of as much as $2,500 per year for families earning up to $180,000 to help pay for college; and subsequently, an additional $36 billion in the Pell Grant program to ensure its financial stability. The additional investment by the federal government to low-income students has partially addressed affordability and helped fill some of the gap caused by rising tuition. However, since declining state investment—the primary driver behind the increasing net price of college—has yet to be addressed, the additional federal support does not fully address the growing need of low-income and middle-income families. The reduction of state funding coincided with an increased reliance on tuition revenue. Low- and middle-income families in states with the highest disinvestment pay the highest net price relative to students in the same income groups in other states. The cuts disproportionately affected two-year community colleges. Create reliable funding by building new funding streams. These streams would need to provide at least as much as the maximum Pell Grant per student in indirect and direct support to public colleges and universities to ensure that students and prospective students can prepare for and enroll in postsecondary education with certainty. Make college affordable by guaranteeing that low-income students who pursue an associate’s or bachelor’s degree will receive grant aid from the compact to cover their enrollment at public institutions. Improve performance by setting outcome goals for institutions, such as increased graduation rates, and by implementing proven, successful strategies that improve student performance at the institutional level. Remove barriers and state and institutional policies that stand in the way of college completion by standardizing transfer-credit and admissions require­ments and by raising K-12 learning standards to align with readiness for postsecond­ary entry-level courses. The majority of funds from the compact would be allocated to states based on support for low-income and military veterans, measured by the share of Pell Grant and GI Bill beneficiaries. Eligible states would receive funding from the compact based on these students having access to an affordable education and earning a credential or a degree. The federal government would also reserve some program funds for states or groups of institutions working across state lines that wish to experiment with reforms that are effective in improving higher-education quality and outcomes. This report presents data to support the need for a restored state-federal partnership in higher education and offers design details of the new Public College Quality Compact. David A. Bergeron is the Vice President for Postsecondary Education at the Center for American Progress. Elizabeth Baylor is the Associate Director for Postsecondary Education at the Center. Antoinette Flores is a Policy Analyst on the Postsecondary Education Policy team at the Center.